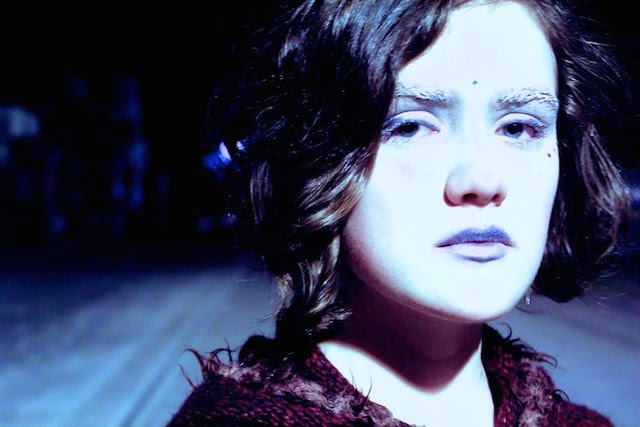 Aussie indie folk artist Calan Mai has just launched his brand new We’ve Got Love music video. The track is the first single off his debut EP Days On The Rock Face which will be released digitally worldwide on August 22 through Canvas Sounds/Believe Digital. The EP was produced by FAIRCHILD & Lyon Apprentice frontman Adam Lyons in a small makeshift studio on the Gold Coast. The early stages on his live show have included supports for The Phoncurves, Jordan Millar, Patrick James & Playwrite. Twin hidden are a new indie-pop quintet based in Manchester and London. Matthew Shribman and Sam Lea, the core of the band, began making music together at the age of ten. Their new video for latest single, Paper Unicorn, shows what twin hidden can do with 50 hours, a stack of A4 paper, one glue stick, floss and 70 packets of Cheerios (the Cheerios were just to keep them going). Nine Sons Of Dan have come along way since their days as a university band project. With their third EP Follow The Blood, the six-track compilation introduces an edgier and slightly darker approach from the band. Singer Jay Bainbridge said: “This EP was a chance for us to showcase the songs that we always wanted to have on our records. We took a lot of risks, we didn’t want to be safe and at the end of the day music is art and I think this EP will also allow us to meet some new people and the true Nine Sons Of Dan fans to grow with us”. 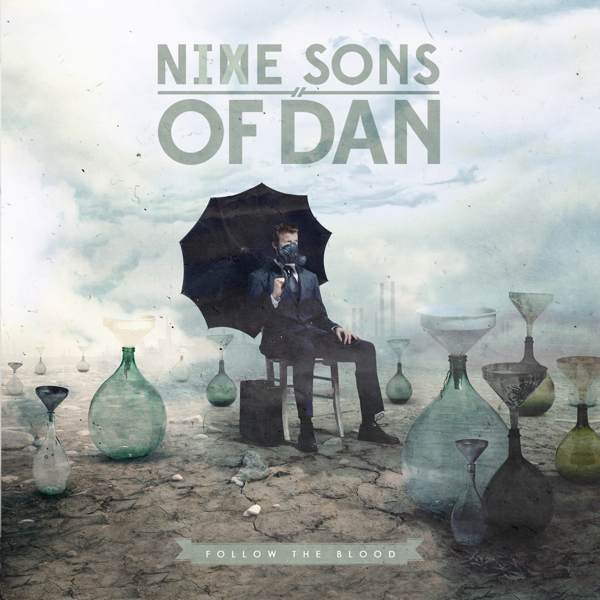 Nine Sons of Dan is a five-piece alternative rock band with an eclectic yet direct approach. Their youthful and fun blend of sound falls somewhere in between the appealing melodies and uplifting spirit of college rock (think All Time Low, Yellowcard, Four Years Strong) and the clever arrangements of alternative rock (think Propagandhi, Transit, Taking Back Sunday). Follow The Blood was tracked in Australia but mixed and mastered in Nashville (USA) by J.R. McNeely (Dead Letter Circus, Anberlin). Bainbridge said: “I wrote about where I was at that moment. Sometimes I use dramas that have happened in my past as fuel for content but this time I just wrote about what was happening around me and to me. I had a lot of frustrations and heartache in my personal life but at the same time felt a sense of strength of unity with the boys and our future as a band”. This sense of feeling was also carried over to the EP’s artwork with its meaning being progression – that no matter the environment, the character on the cover is able to adapt, evolve and still able to flourish. The band started out humbly in 2010 for the sake of good times. Things started to get serious soon after but the chosen formula remains simple. At the end of the day, Nine Sons of Dan are still a group of friends rocking out, expressing their passion for immediate and gritty rock songs with lyrics that are easy to relate to on a personal level. Yet, the band set out to develop a unique chemistry, allowing them to add a bit of unpredictability to the mix with cool drum patterns and tempo changes, guitar riffs and vocal harmonies. Above all, this band is a unit: these guys turned from a being a recording project on the side of their studies to becoming one of Australia’s most promising new touring act within their genres. Nine Sons of Dan managed to retain their humble and direct approach, knowing that making music is a process of constant growth. Each time they hit the studio, each time they walk up on a stage under the spotlight…they never stop pushing the envelope and striving to be the best they can. This brand new EP stands as a great testimony of the band’s versatility: from up-tempo bullets to mellow ballads, Nine Sons of Dan set out to take the listener through an emotional roller coaster throughout a texture-rich and exciting EP. 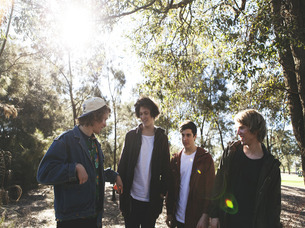 Brisbane four-piece Tundra have been a well-known fixture on the club scene since 2012, renowned for infectious pop hooks, original indie grooves and a dynamic on-stage chemistry which dates back to high school friendships. After a short break away from the limelight, recording with rising producer Konstantin Kersting (Big Scary, The Belligerents) Tundra return with Tangled, the lead single from their soon to be released EP. High energy hooks, unforgettable melodies and instantly grabbing experimentation are what provide the foundation for this next release from a band that consistently deliver. 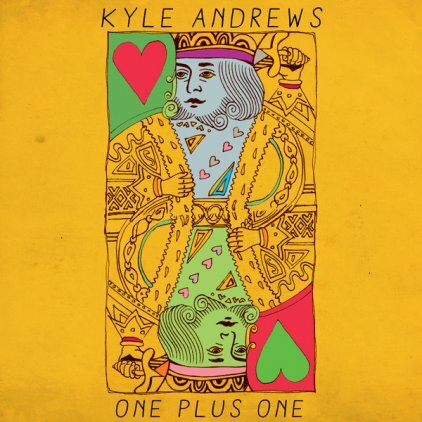 One Plus One is the new EP from Nashville singer/songwriter Kyle Andrews. Following the release of his fourth full length album Brighter Than the Sun in Summer 2013, Andrews set out to create new tracks inspired by the forthcoming promise of the changing of the seasons, inspired by the energy of the spring. The One Plus One EP is a sneak peek of Andrews’ upcoming fifth full-length which is expected to be released later this year. A soundtrack fit for the summer, the 3-track EP is to coincide with a series of May and June tour dates that take Andrews through the Southern U.S. concluding with a date in Los Angeles. The tracks on One Plus One are a continuation of the acoustic guitar/synth keyboard sound found on earlier works. Drawing inspiration from society’s inclination towards the technological, Andrews is no stranger to the innovative – he uses everything from built-in laptop mics to top-of-the line studio set ups to compose and record his tunes. Known for colourful and inventive music videos, high energy live shows and songs featured in film and TV around the world, Kyle is perhaps best known for his 2010 hit , You Always Make Me Smile, which was featured in a worldwide advertising campaign and had a video that was shot during an attempt to make the Guinness Book of World Records for the largest water balloon fight. Heartless Machine is Flatcat’s first album in eight years. Flatcat are from Bruges, Belgium and their newest album, Heartless Machine, has recently been released on Eye Spy Records. Over the last two years, the band acquired professional recording gear to take care of vocals, guitars and bass themselves to leave only the recording of drums up to Dé Studio in Belgium (that also recorded Flatcat’s debut album back in 2002). In search for the ultimate punk rock sounding album, Minx made an appointment and had an intensive talk with Bill Stevenson (Descendents/Black Flag) after the Descendents show at Groezrock 2011. The band decided to work with Bill and Jason Livermore who mixed and mastered the album at The Blasting Room in Fort Collins, Colorado. The result is Heartless Machine. First stand out track is Loose Tongues which has influences of Sum41, classic Green Day and Jimmy Eat World in it. It’s punk rock done in the American style. It’s the sort of music you used to love in your teens and a slight guilty pleasure. Not What I Signed Up For features an acoustic start to the track which is refreshing after all the punk rock focus in the other songs. The vocals seem softer and are very Billy Joe Armstrong inspired. The music seems chirpier and more stripped back than the previous tracks. It has a happier sound despite the lyrics, “This is not what I signed up for/This is not what I had in mind…”. The Great Escape is the best track on Heartless Machine. There are folk influences heard in the guitar riff which is a first for this record. It sounds like a completely different band as Flatcat introduce Mumford and Sons influences into parts of the track. The Great Escape has that upbeat folk tempo that blends perfectly with the “Oh oh oh oh/I I I I/ Won’t let you down” chorus. It’s the penultimate track on the record and is a brilliant one at that. Flatcat’s Heartless Machine is out now via Eye Spy Records.